Harrisburg, PA – First Lady Frances Wolf joined the Pennsylvania Council on the Arts (PCA) to unveil “Threads: From Traditional to Today” – an exciting, new art exhibit on display at the Pennsylvania Governor’s Residence in Harrisburg throughout the spring and summer. Organized by the PCA, “Threads” explores Pennsylvania’s rich textile and fiberarts history and assembles a selection representing the depth of artistic skill and talent that can be found across the commonwealth. The Governor’s Residence, located at 2035 North Front Street, will be open to the public to view the “Threads” exhibit on the third Friday of every month as part of Harrisburg’s 3rd in the Burg. It will also be open on the second Sunday of every month from June through September as part of the Second Sunday’s at the Residence summer event series. 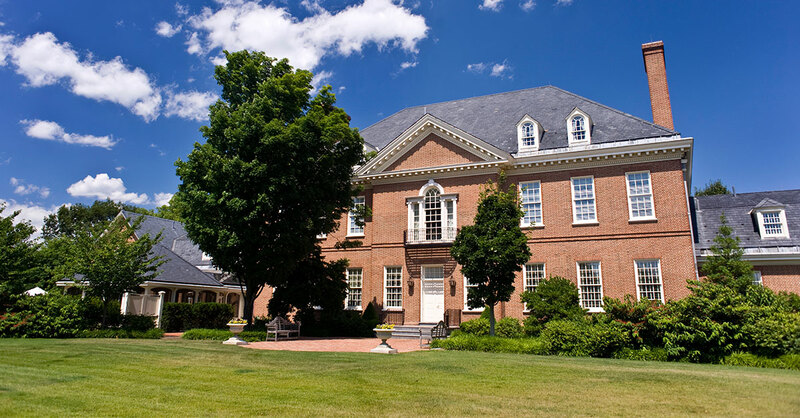 The Governor’s Residence is open for tours on Thursdays from 9:30 a.m. – 1:30 p.m. by appointment. For more information about “Threads,” the Governor’s Residence, or to schedule a tour, visit the Governor’s Residence website here. Photographs of “Threads” are available here. Tina Williams Brewer, Allegheny County – An award-winning artist whose work has been displayed across the U.S., Brewer is known for her artistic exploration of African American histories through complex story quilts and fiber works. Often inspired by subjects such as family, women and children, folklore, history and the African American experience, she uses a variety of textiles, weaving layer upon layer with jewels, photographs and other three dimensional objects. Brujo de la Mancha, Philadelphia County, and Roberto Franco Totokani, Mexico City – As a child in Mexico, de la Mancha experienced the remaining Mayan, Olmec, Aztec and Catholic cultures’ traditional and popular crafts that represent and express the life of the indigenous Mexican peoples. He received a 2014 Folk and Traditional Arts Apprenticeship from the Pennsylvania Council on the Arts to study traditional Aztec dance and the sewing of elaborate, detailed regalia or costumes with a master artist. Gale Jamieson, York County – A sculptor, whose work is exhibited extensively in the Mid-Atlantic region and is in the permanent collection of the Smithsonian Museum of American Art, Jamieson creates from the belief that each piece is a story and that by changing the context in which an ordinary object is experienced – seeing the ordinary in a non-ordinary way – a shift in perception can occur. She resides in southern Pennsylvania and has participated in residencies in New York, Florida, Virginia, France and Ireland. Knit the Bridge panels and Pop des Fleurs flowers, Allegheny County – Created by the Fiberarts Guild of Pittsburgh, these two extraordinary projects were outreach components of the tri-annual fine arts exhibitions, Fiberart International (2013 and 2016 respectively). Knit the Bridge covered Pittsburgh’s Andy Warhol Bridge with brightly colored, handmade yarn panels. 580 knit and crocheted panels covered the bridge at a length of 1,000 feet. Hundreds of volunteers helped create the panels and stitch them into place, culminating in one of the world’s largest knit art installations. At the conclusion of the project, blankets were laundered and distributed to homeless shelters. Knit the Bridge was selected as a “Best of the Best” art project by the PCA. This year, the Fiberarts Guild of Pittsburgh developed Pop des Fleurs which featured pop-up outdoor gardens of handmade flowers to delight and bring color to the winter landscape. Online “seed packets” provide instruction for the public to create their own flowers. Artist Judith Gentile’s flower and a collaborative vase are on view. All visitors to the Residence during the exhibit are encouraged to make their own Pop des Fleurs flowers to add to the existing bouquets. Directions for flower making can be found at https://www.popdesfleurs.com/seed-packets/. Allie Marguccio, Westmoreland County – Her interest in Idrija lace traces back to a Slovenian family member’s visit in 1979. As a result, Marguccio began to study bobbin lacemaking and eventually applied for a PCA Folk and Traditional Arts Apprenticeship for intense study with a master artist of this unique form of bobbin lace. After a decade of fine-tuning her skills, she now conducts workshops on Idrija lacemaking with traditional materials, including specific thread, the traditional punjkl pillow, and wooden bobbins, hand-turned by her husband. Penny Mateer, Allegheny County – An award winning artist whose work has been exhibited widely, including at The Carnegie Museum of Art, The Andy Warhol Museum, the Society for Contemporary Crafts, Arrowmont School of Arts and Craft, and Woman Made Gallery. Mateer is inspired by the use of pattern, color and texture in quilting and the decorative needle arts, and uses the medium as a platform to present ideas about current events. She has received numerous awards from Associated Artists of Pittsburgh and was co-director of Knit the Bridge. Vera Nakonechny, Philadelphia County –The recipient of numerous honors recognizing her stature as an expert in the art of crafting traditional Ukranian textiles. Her work includes embroidery, beadwork, weaving and other traditional forms related to textiles and adornment. She received a prestigious National Endowment for the Arts (NEA) National Heritage Fellowship in 2014 recognizing Nakonechny’s achievements as a folk and traditional artist. The Heritage Award is the highest honor bestowed on an artist in folk or traditional arts. A wide range of Nakonechny’s skills and techniques are represented in this extensive personal collection of both her work and unique traditional forms. Karen Page, Allegheny County – Represented in the permanent collection of the Westmoreland Museum of American Art in Greensburg, Page’s felt wall hanging was a gift to the museum of the Eleanor Smith Memorial Fund, 1993.50. Woven Welcome, Lehigh County – This participatory, community-based art project, developed by Prof. Jill Odegaard, chair of the Art Department at Cedar Crest College, utilizes the woven rug as a statement of the interconnectedness between individuals and groups. The metaphor of weaving illustrates how each and every day people interact with and sustain our communities. “Threads” marks the fifth chapter of this project, previously realized in Oregon, Minnesota, and North Dakota, before coming to Pennsylvania’s Lehigh Valley, in partnership with the Allentown Art Museum and Via of the Lehigh Valley. Visitors to the Governor’s Residence during the exhibit will be invited to contribute to Woven Welcome by working with other visitors to weave a rug.